Compatible with WooCommerce 3.3.x, Ecwid. Directory WordPress Theme has been tested with browsers IE10, IE11, Firefox, Safari, Opera, Chrome. 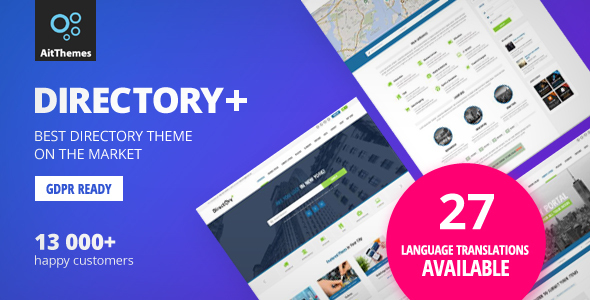 Theme Directory WordPress Theme has the following features: Special price today - only $13, Translations to 27 languages available., Make your own directory business website.